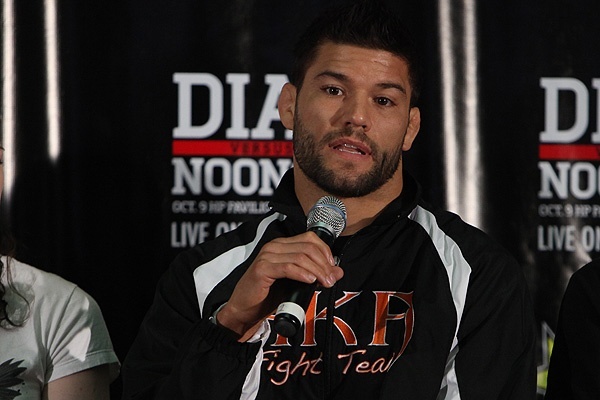 Former Strikeforce lightweight champion, Josh Thomson, likely earned a return shot at Gilbert Melendez with his decision win over Gesias Cavalcante last Saturday. However, Thomson admits that his body is less than ready for the encounter. He was clipped by an early punch and arm-in guillotine choke by Cavalcante during the match. Fortunately for The Punk, he survived the trouble and landed a powerful ground-and-pound blows for the frame. “I knew the first round was close, but I thought I did a lot more damage than he did. The guillotine, it was tight, but it wasn’t like – I’ve been in Jake Shields’ guillotine. I know that Jake has one of the best guillotines around, so it wasn’t like a panic mode. It was just stay calm and relaxed and wait and bide my time. He’s going to try and muscle into it, and I just had to wait. And though the audience leaned toward Cavalcante for the win, the judges felt otherwise and gave their nod to Josh “The Punk” Thomson. Still, Gilbert Melendez has to face Shinya Aoki before he completes the trilogy with Thomson. And with that, Josh Thomson will try to stay busy with a bout of his own. Further more, he still needs to heal up.